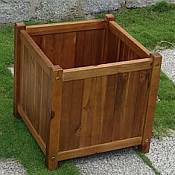 The Sily 20in Flower Box can make a decorative addition to your patio or deck or in your garden to add a beautiful accent. 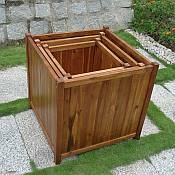 Constructed of durable Premium Plantation Teak this flower box has a clean simple style design with turned finials on each of the corners. 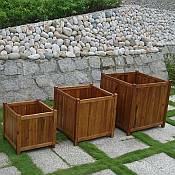 Its size accommodates even large flowering plants for a beautiful display and the slotted bottom ensures proper drainage for your plant's health. Dimensions: 20in L x 20in W x 20in H; Weight: 18lbs. 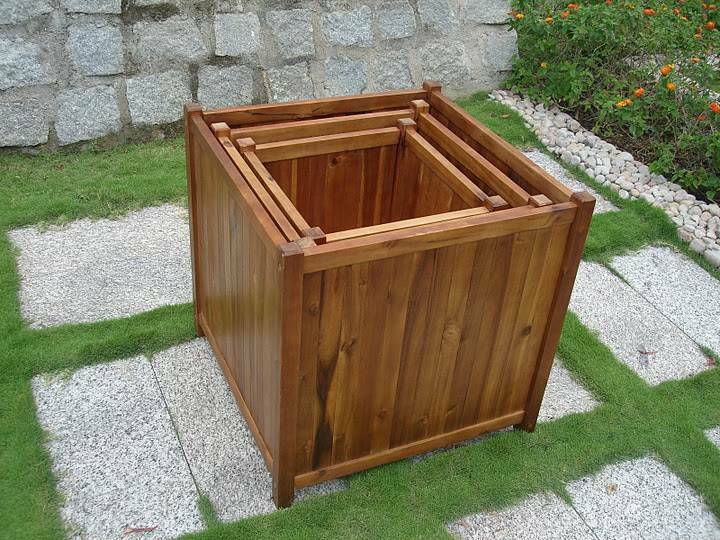 The Sily 20in Flower Box is made of Premium Plantation Teak which is grown in sustainable production throughout the seasonally dry tropics in forestry plantations. 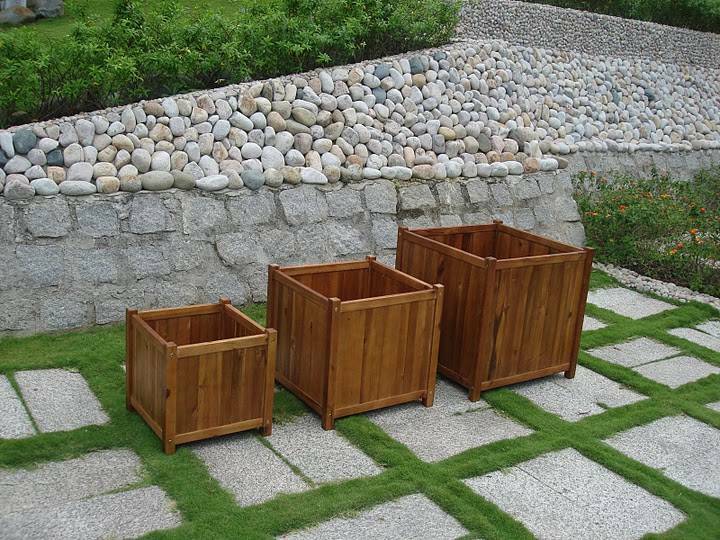 Plantation grown teak is not exactly the same with the old-growth teak, which is reputable for durability, structural strength, attractive appearance, and sanity smooth surface. However kiln drying allows for sustainable, plantation-grown teak to perform nearly on par with old-growth teak. Similar to the old-growth teak, plantation-grown teak has a rich golden color throughout its grain, and provides an elegant look for any outdoor wood products. 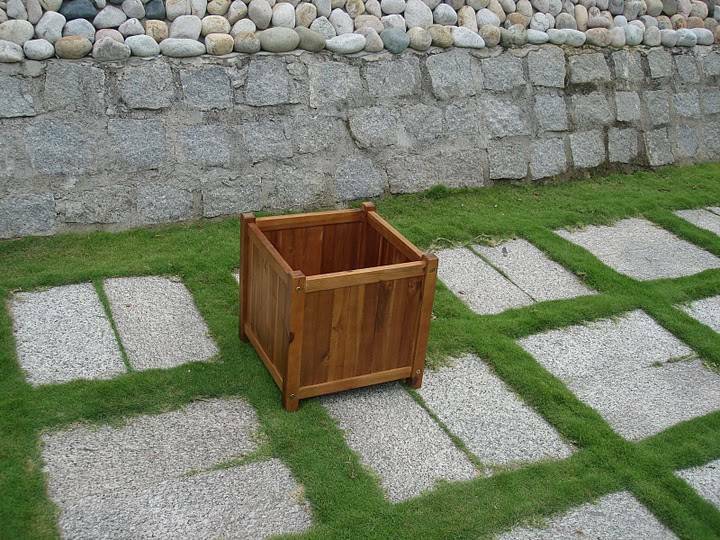 It also has a lot of natural oils that make it water repellent, insect resistant, and suitable for use in exposed locations. The wood also has the unique qualities of not rotting or accumulating rust even when joined with metal.